Hello and Merry Christmas to all of you and best wishes for this day, in what ever form you like to see it as. 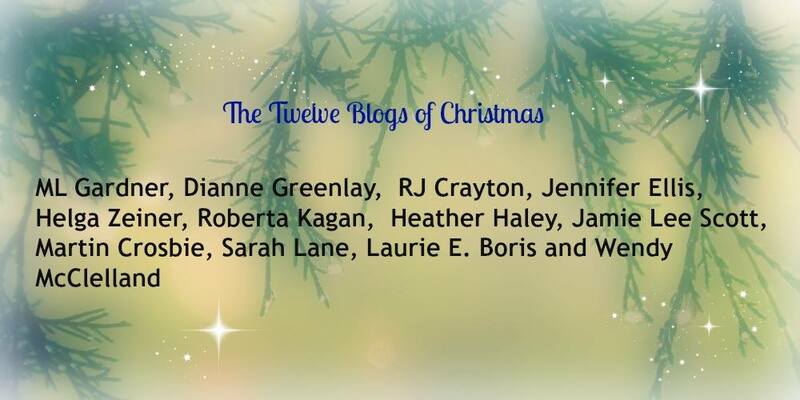 I have been privileged to be part of a two week Christmas Blog tour with the following authors: Sarah Lane, Laurie Boris, Heather Haley, Helga Zeiner, M.L. Gardner, Roberta Kagan, Wendy McClelland, Jamie Lee Scott, Jennifer Ellis, and RJ Crayton. Each of us has provided an article with a Christmas theme and I hope that you have enjoyed the variety so far. Today I’m posting the last one in a fine line up of topics and I could hardly wait to share it with you! Well, here it is! The day we’ve all been waiting for. My guest blog by the amazing , best-selling Canadian author, Martin Crosbie! (We’ve saved the best for last, haven’t we?) Here, on Christmas Day itself, Martin brings us the intriguing background information for Charles Dickens’ much-beloved “A Christmas Carol”. I KNOW you’re going to love this! And I’d love to hear from you on what what thoughts that Christmas brings to you. 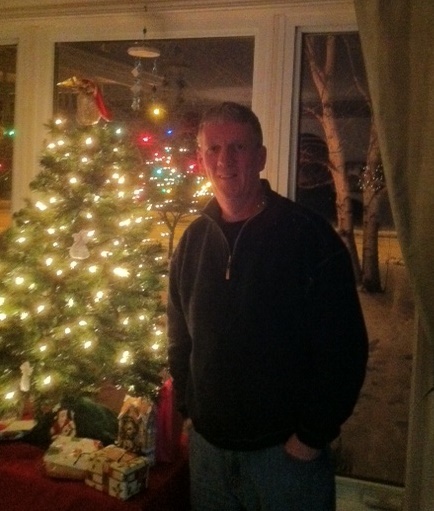 The 12th Blog of Christmas is written by bestselling author, Martin Crosbie. Martin lives on the west coast of Canada and has written five books including Amazon bestseller My Temporary Life. His popular Christmas novel Believing Again: A Tale Of Two Christmases is available in e-book format in the US and UK as a Kindle Countdown Deal from Dec. 24-27 for only 99 cents. Marley was dead, to begin with. There is no doubt whatever about that. The register of his burial was signed by the clergyman, the clerk, the undertaker, and the chief mourner. Scrooge signed it. And Scrooge’s name was good upon ‘Change for anything he chose to put his hand to. Old Marley was as dead as a doornail. Those delicious words open the Dickens classic. Previous to the publication of A Christmas Carol, Christmas was barely recognized. Although it was a holiday it didn’t have the romantic vibe that it has today. Mr. Dickens and his novel changed all that. And, if he’d waited for his publisher to release the book it may never have happened. Charles Dickens wrote his masterpiece in six weeks. Somehow he was able to channel the story and get the words on paper (or parchment probably) in less than two months. At that time he was suffering financially. His wife was pregnant with their fifth child and the wolves were closing in on their door. His previous novel had not sold well and when he submitted his new manuscript (after having it beta-read surely), to his publishers they were slow to warm to it. I’m not sure how rejection letters were sent out in 1853 but his publishers indicated that they were not interested in publishing the story of Ebenezer Scrooge’s epiphany. Anxious to have the book released by Christmas Dickens went the print-on-demand route and self-published. He hired his own illustrator and contracted his publisher to print the books. And, he did the legwork himself. Then, in those very, pre-Konrath days he decided to lower the price to five shillings – a price that most folks would be able to afford. He wanted his book to be read and perhaps he even thought that readers might enjoy his other works if they liked his Christmas tale. As we settle into Christmas Eve, I’m so pleased to be able to host this wonderful post by Wendy McClelland, a hugely successful entrepreneur, and highly skilled author and storyteller. Wendy”s post is titled “A Christmas Love Story” and I’m certain you’ll enjoy it. I’m really thrilled Martin Crosbie asked me to participate with him and eleven great authors to share Christmas stories. I’m honored to be working with ML Gardner, Dianne Greenlay, RJ Crayton, Jennifer Ellis, Helga Zeiner, Roberta Kagan Author, Heather Haley, Jamie Lee Scott, Sarah Lane and Laurie E. Boris. I remember 1967 really well. It was Canada’s centennial – our country was 100! My parents had a fun backyard BBQ party and the whole neighbourhood came. The party went on well into the early hours of the morning. I’ll never forget seeing my parents dance together. We never know when we are experiencing something for the last time – especially as a child. That would be the last summer my mother would be alive. As the fall approached, I started back to school and was a carefree eight year old, with three younger siblings. My parents Brian and Eileen adored each other and loved us. They were both originally from the UK, but had met in Toronto at a house party. When my dad first saw her he turned to his friend and said, “I’m going to marry that girl.” Sure enough, less than a year later they were married. Ten years and four children later they were building a life together. Then in early winter, my mom began to feel ill, by late November she was gone. She had been feeling tired and went to the doctor. He asked her to wait in his office, called my dad at his office and had him come in. He told my mom she had leukemia and had less than two weeks to live! Can you imagine? You are only thirty years old, and have four children under eight years old. I remember feeling like the bottom had fallen out of my child’s world, I cannot imagine what she felt.